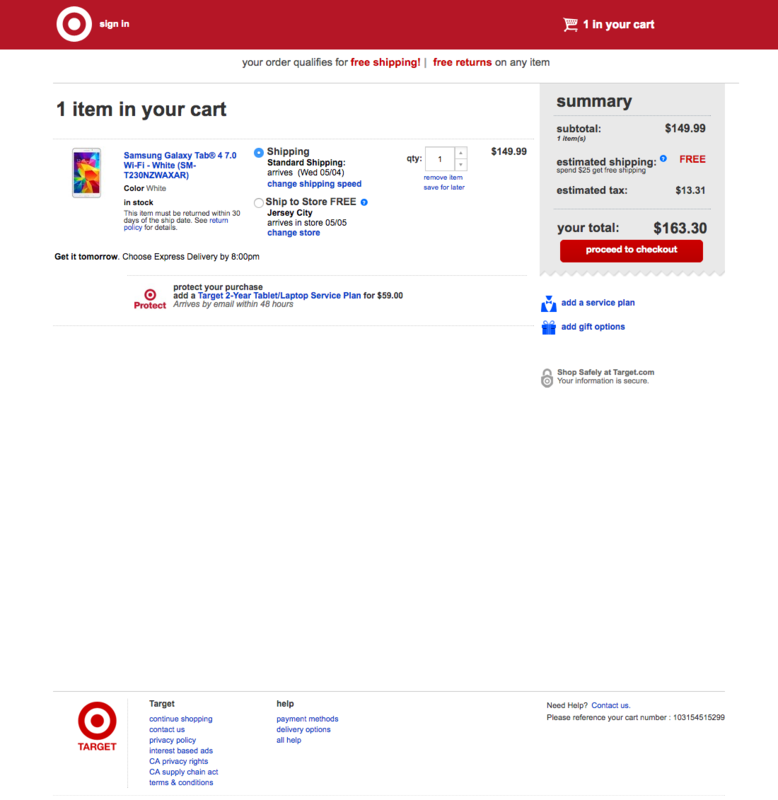 The screenshot was taken April 27, 2016 and depicts Target’s Cart. In total, we’ve reviewed 45 of Target’s design elements. To see them all, visit the full Target UX case study.